I dread this night, the one that comes every year, the night that the first frost and killing freeze comes and turns the garden from green, to black, in just mere hours. I spent this late afternoon in the waning hours of fall, wandering around the garden, trying to memorize every green thing, every rose, every basil plant. It reminded me of going off to college when I was 18, driving away and leaving my pets behind. I know that as I write, everything is gasping it's last breath, the Dancing Tea, the Thai basils, the Stevia, all the currant tomatoes and blooming begonias. If they could scream, they would. Maybe they do. Yesterday afternoon I spent gathering as much produce as I could. I cut all the pepper plants down to the ground, tied them with wire and hung them inside for the strength of the plants to go into the remaining peppers to ripen. I did the same with the figs, hoping it works as well with them as with peppers. We've had a good fig year, I've eaten well, but I'm not tired of them yet. 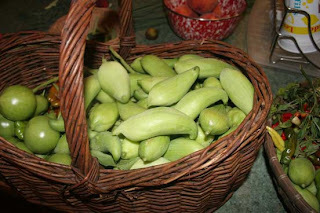 Josh gathered a basketful of sweet peppers and the last of the green tomatoes. He found 2 remaining cucumbers, pulled a couple dozen of the Fat Baby Achochas to save for seed from the bamboo arbor Adam and I built, and grabbed several good handfuls of the youngest asparagus beans to stir-fry. There were several seedlings of Green Pepper Basil in the herb bed so I dug those instead of trying to bring in the larger plant, although they transplant well. I did harvest the seed for more plants in spring. I took pictures, too, to aid my memory when it's all brown and desolate and when I need a reminder that the garden will be green again someday. I cut a good handful of Za'atar to dry, and the same amount of marjoram. And a great handful of lemongrass leaves for tea, which I'm tying into little bundles like they do in Mexico, for tea. 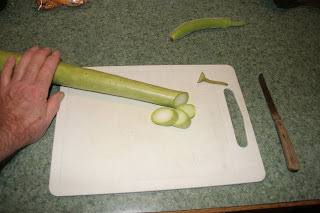 There was one right-sized Guinea bean, which I picked and fixed for supper, along with a couple of the last good, ripe tomatoes. My method for the New Guinea bean: Sliced it crosswise, made a mixture of an egg white and equal part milk. Dipped each slice in flour, then milk/egg white, then back in the flour and fried it (yes, fried, it's the best way for this) until nicely browned. It's crispy on the outside and still lightly crunchy inside with a hint of tartness not unlike fried green tomatoes, only better. A grinding of sea salt over the hot slices and it was a welcome last day of fall treat. Tomorrow I'm certain I'm going to complain all day about how much I despise cold weather and how I hate the color of black because it doesn't belong in the garden and everyone will want me to shut up. Once a year this night comes, followed by the shock of a garden going from green, living, to black and dead. I'd bring everything indoors if I could, but I can't be made to like this night of death. 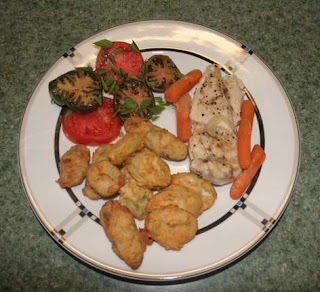 (Shown: Black Russian and Better Bush tomato with basil, fried Guinea bean, broiled chicken and carrots). Can You Eat a Cassabanana? Leaves are falling without much color. Funny, that, considering 2 years ago when we had an awful drought and the leaves were beautiful. This year we had an over abundance of rain, and now, no fall color to speak of. The rosemary plants are blooming, and the basils are all doing their best to produce seed before frost. Usually we have frost around Halloween and that's expected this year, too. 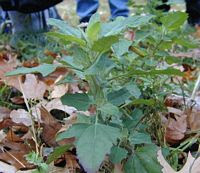 A seedling papalo sprang up in the medicinal herb bed. A reader sent a comment (listed elsewhere) that she had found papalo combined well with grape juice. I am anxious to try as I've not found a great deal it goes with. Another reader wrote that she enjoyed it crushed in water for a cooling beverage. 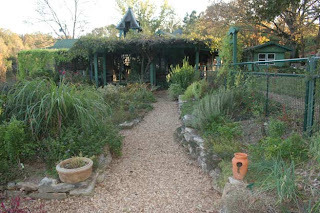 You may recall that when Adam our friend and summer WWOOFer was here, he tried papalo in all sorts of dishes, beverages, teas nicknamed him Papalo Picasso, since he is a highly creative artist, wore great hats and played in the papalo beds. Anyoneand salads. We wanting some papalo seed to try, let me know as I'll have plenty in a few weeks. Mine came from Boliva where a friend brought it back from a native community there. (You can click on any of the photos to enlarge them to see them better if you want). 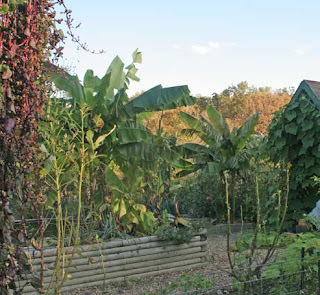 The banana-looking plant on the left of the photo is actually a banana, the hardy variety that lives outdoors. It has outgrown the bed it's in and one of my jobs yet this fall is to dig it out and move it somewhere. I'm expecting a backhoe for some work in the driveway sometime this fall and will get him to dig a hole as it will take a considerable spot for the banana. On the right side of the photo, what looks like another banana, is actually a banana canna. Really. It looks for all the world like a banana, but isn't, and is in the canna family. It, too, has to be dug up, but it will rest in the dark and quiet of the wellhouse until spring and replanting time. The Brunswick fig has been giving us a few ripe figs every couple of days, which is why I am anxious for the first frost to hold of as long as possible. Figs can't be picked green and ripened indoors like a tomato can. 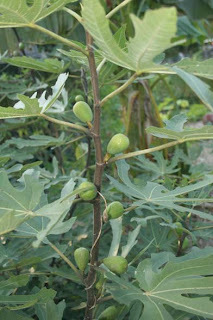 They have to ripen on the bush, then the rush is to pick the fig while soft and sweet, before the ants attack it. We've had a good crop on this plant, as well as on the Constantine fig. Brunswick freezes to the ground each winter, then comes up bigger and better in the spring. Constantine is different in that it's a 12 ft. high bush that does not die back. Both plants have excellent fruit. I added a Brown Turkey fig this year, as well and it had a few fruits and still has a few coming on. We're not in fig territory, but grow them anyway, with no actual care or attention. One plant that is just coming into its own is the cassabana, a tropical vine that produces loofah-sized fruit. 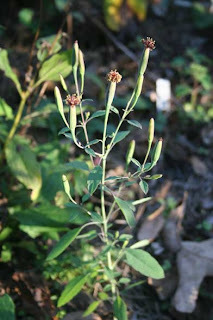 The photo here shows the female flower and the immature fruit. It would take another month or longer for the fruit to ripen. 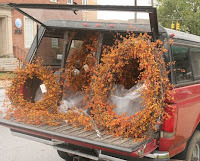 But it was worth a try and the vine is interesting on the arbor. I bought the seed at Baker Creek Seed and planted it directly in the ground last spring. 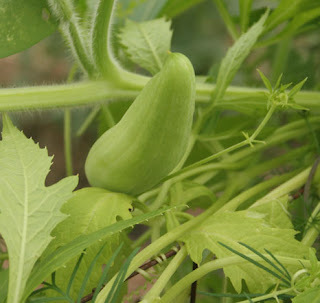 Had I started the seed in February or March, I might have ripe fruit now. Having no idea what cassabanana tastes like, I don't even know what I've missed. It needs hot summer temperatures to ripen, so it will not be happy with our 40 degree nights. 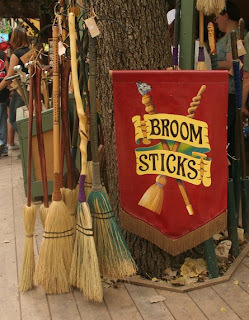 Can Witches Fly When They Have Gout? I wonder if witches can fly on Halloween if they have gout? Do they get gout from eating all those eyes of newt and spiders and boiled old hens and the water from a hundred year old stump, collected on the dark of the moon? Who knows. What I do know is gardening with gout is a challenge. Several meals in a row that were bad choices (too much beef, seafood, okra, baked potatoes with sour cream) left me in agony for a day and a night. Little did I know gout can occur in the ankle, although rarely, instead of the big toe. A mega dose of prednisone, a day on crutches and a sleepless night even with pain killers, and I'm smarter than just 24 hours ago. 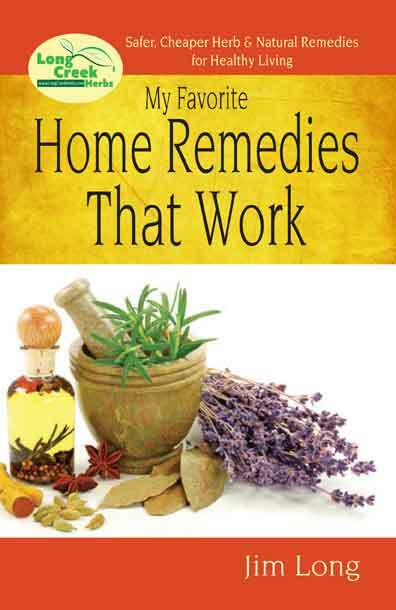 Normally I avoid gout by taking 1 baby aspirin a day, 1/4 teaspoon baking soda, and avoiding food that causes it. Oatmeal, cooked dry beans, gravy, liver and especially mushrooms, all can cause it to flare up with me. All in moderation and I'm fine, forget and I'm a mess like yesterday and today. The Fat Baby Achocha vines are really producing a bounty of fruit at present. These are from my friend, Rixin in Bhutan, who found the seed for me in the Bhumthang Valley near where he lives. It may not seem magical to some people, but to me it is absolutely mysterious how I can plant seed from someone else's garden from last year, and see exactly the same plant they grew in my own garden. 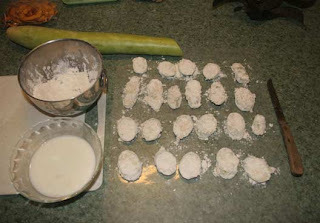 I've been cooking some, in fact I put a few in the Louisiana gumbo I fixed for supper 2 nights ago. They taste a bit like bell peppers only milder. Usually they are stuffed with a pork mixture and baked, with or without tomato sauce. That next photo is of a completely different variety of Achocha, this one from Peru. 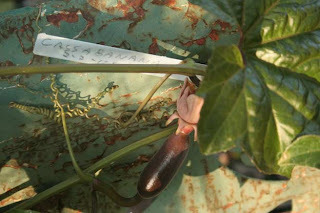 Fran & Marie, readers of this blog in Canada sent the photo are growing it and are sending me seed to try for next season. It's considerably longer, thus more volume to stuff and so I'm excited about growing it. (Yes, I know, some people get excited about football games; I get excited about new food plants). On my morning walk yesterday I found bittersweet growing along the roadside and it reminded me of the bittersweet sellers I ran across at the farmer's market in Hendersonville, NC a couple of weeks ago. Wild bittersweet is less prolific than the Asian variety, but you have to be very careful with the Asian one. It will overtake large timber trees and kill them with it's cover. That one's also invasive. I have 2 in the garden (sold to me as "American native bittersweet," which it is not). American bittersweet does not spread from the roots and is a polite plant producing plenty of berries for decoration but not becoming a pest. I used stump killer on one of the Asian bittersweets in the garden this spring and have one more to try and kill this winter. I'm still following up the sprouts on the first vine and attempting to get rid of it. Every day without a frost is one more gift to the garden. Tomatoes planted in August have green tomatoes that may ripen if frost holds off a couple more weeks and the cucumbers Adam planted that month are producing nicely now. Still lots of green beans, some malokia, the squirting cucumber is about to produce, and lots and lots of peppers coming on. They're late but I'm drying more than I would have had time for in the summer. 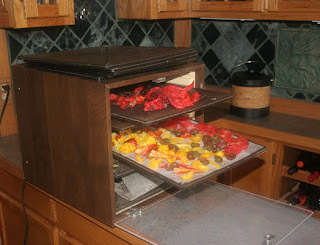 The food dehydrator has been running day and night again. In the top I have the Bhut Jalokias drying, for the seed which I'll sell later. On the shelf below them are the fish peppers and Jamaican yellow peppers, mild and fruity flavored with hot seeds. I'm also drying some okra and a bunch of lamb's quarter (Chenopodium album) seed heads. 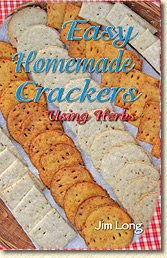 The seed is excellent in my Seed Crackers as well as in biscuits. They're used much like poppy seeds but I like the flavor better. You instead of spinach as it's a better producer in may recall I grow lamb's quarter some years summer and has less oxalic acid than spinach (so less of that teeth on edge flavor of spinach). All in all, it's been a good week in the garden, with lots of produce still coming on to harvest. The late fig is producing a few figs every day or two and I enjoy every bite of those. Happy gardening and thanks for visiting! I love to travel and come by it honestly. My Grandma Harper, when she was alive loved travel, as well. All you had to do was walk into her house and say, "Grandma would you like to GO..." and before you could reveal the destination, she would be out of her chair, saying, "Let me get my coat." From Garden Writers of America conference, we flew home. I quickly did the most necessary business jobs, didn't even unpack my bags, but put them in my truck and drove east for a friend's wedding in Hendersonville, NC. Yes, the same area where gas shortages were so severe, lots of people were stranded. I carried filled gas cans in the back of the truck and made it ok. While there I visited Connemara, the Carl Sandburg home and gardens in nearby Flat Rock, NC. His wife, Lillian, loved goats and took special interest in the breeding and raising of her goats. She called her animals the Chikaming herd, which included Nubians, Saanens, and Toggenburgs. 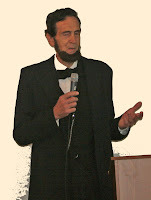 An Abe Lincoln re-enactor was there, commemorating the Sandburg book on Lincoln. 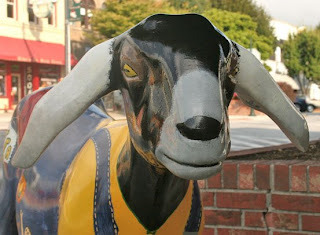 The nearby town of Hendersonville, as a fund-raiser for local charities, produced dozens of fiberglass goats and parked them around the downtown area. 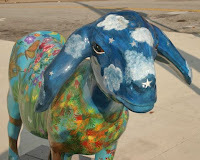 Local businesses and individuals "adopted" the goats, painted them and kept them on display, to be auctioned off with the money going to the charities. It is a way of honoring Lillian's Chikaming herd. 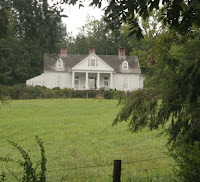 The National Park Service administers the Sandburg home, where the family lived until Sandburg's death in 1987, and the gardens remain in the same location as when the Sandburgs lived there. 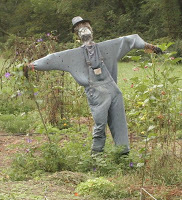 A scarecrow welcomes visitors who are on their way to visit the goat barns. 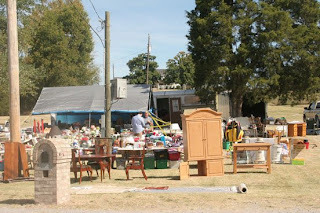 On the way to the wedding, I found myself at the starting point, Lebanon, TN, of an annual Hundred Mile Yard Sale, which goes from Tennessee into Virginia. Never one to miss a yard sale, nor an event (thanks Grandma), I had to stop and shop. What an amazing experience it was, too. I bought myself a great sun proof garden had for a buck, a shelf for the bathroom and a brand new 2-wheel dolly for moving large objects. I had to get on my way to reach the wedding festivities, but admit to being tempted to do the entire 100 mies.